2011 was an exceptionally turbulent year, not just in terms of geopolitics (the Arab revolutions, the death of Osama bin Laden, the birth of South Sudan), economics (the euro crisis, the US debt ceiling debacle, the Occupy Movement) and natural disasters (the Japanese earthquake, flooding in Brazil and Australia). The tech industry has also had its fair share of highs and lows from mega-acquisitions and inflated IPOs to some spectacular hack attacks. Not forgetting the gadgets, of course. Between tablet wars, slinky smartphones and killer apps, we've had no excuse for twiddling our thumbs this year. 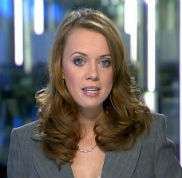 Here are (one person's idea of) the defining developments of 2011. It's been 12 long months of debacles for the Canadian BlackBerry-maker. Its Playbook tablet, launched in April, received lukewarm reviews, with critics saying it felt rushed out. A high price (to match, but not beat, the iPad), and a lack of embedded support for email or BBM copped the Playbook a lot of flak. An update containing those functions was then delayed. Weak sales forced RIM to slash $100 off the Playbook pricetag. 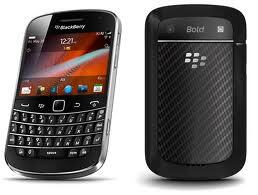 RIM suffered another embarrassment when its BlackBerry users were plunged into a communications abyss by a service outage. The company battled to clear the message backlog after four-days of blackout. RIM said "sorry," customers said, "not good enough." Its shares dropped again. What's next? Users have to wait until the end of 2012 to see the new BlackBerry. Plenty of time for them to be enticed away by the Galaxy Nexus, or some other gorgeous HD handset. RIM, you have some real innovating to do, and fast! Microsoft splashed out $8.5 billion in cash to acquire the VoIP company back in May. It was the biggest purchase Bill Gates' baby has ever made, with Skype's asking price bumped up by reports Facebook and Google were also interested. Microsoft hasn't always worked wonders with big buys. They snapped up mobile tech firm Danger in 2008 for $500 million and then failed spectacularly to assimilate. But the Redmond firm hopes to have learned a lesson. This time it's all about integration - with Windows, XBox et al. Microsoft saw Skype's telephony connectivity - for which about 8 million users currently pay - as too good to pass up, not least as a means of extending Live Messenger. What's next? 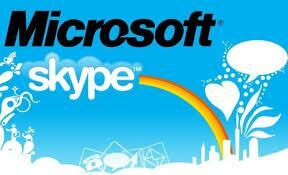 What'll happen when Skype meets the Windows Phone in 2012? Could that be a game-changer? Sony also landed on Planet Tablet with the S (it's the one that looks like a folded magazine), launched in September. It was also widely viewed as too expensive, and lo! Sony's just joined the club and slashed $100 off the price of the S to get stock shifting before the launch of the iPad 3. What's next? Sony's hopes hang on the PS Vita console which has its work cut out in the face of so many popular gaming apps for smartphones. Union of the year or shotgun marriage, $12.5 billion cash changed hands. That, according to Google, was worth paying to get the search giant out of its legal fix. The deal gives Google access to a nifty 17,000 of Motorola's patents, as Patrick Beja explained on Tech 24. What's next? Well actually, it's not in the bag yet. 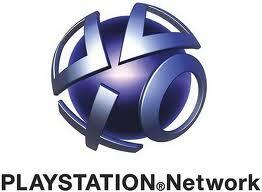 The European Commission and the US Department of Justice still have to rule on whether the takeover can go ahead. Hubble, bubble, toil and trouble, who's the victim of an IPO bubble? Well, Zynga for one. Investors had to be patient before they could buy stock in the social game developer - along with daily offers website, Groupon, its highly-anticipated IPO was pushed back. When it did finally float in December, Zynga's first Friday trading saw its stock close down half a dollar. It still raised a billion of those bad boys though, so not too shabby. The Farmville-maker's performance did of course spark talk of air seeping out of the social media bubble. (Note: Zynga was valued at $9 bn, EA at just $6.9 bn). What's next? 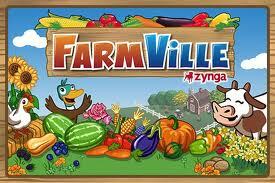 Zynga's profitable and has 227m users to its name. But its reliance on Facebook could be its downfall. Though social media IPO bubble is setting in amongst investors, Mark Zuckerberg probably won't need to worry when his good ship sets sail on the Stock Exchange. One of the biggest stories of 2012 led to Apple stores being turned into makeshift shrines as news got round that its co-founder, Steve Jobs, had died of pancreatic cancer aged 56. He leaves behind him an almighty legacy. 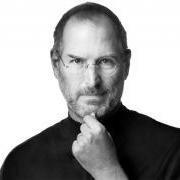 Read more about how Paris reacted to the passing of Steve Jobs.